Tsunami is a modern Asian cuisine and sushi restaurant with a full bar where providing an exceptional dining experience is our priority. The freshest ingredients ensure exquisite meals from the fun, creative atmosphere of our sushi bar to the intimate tabletop dining in our exotic interiors. 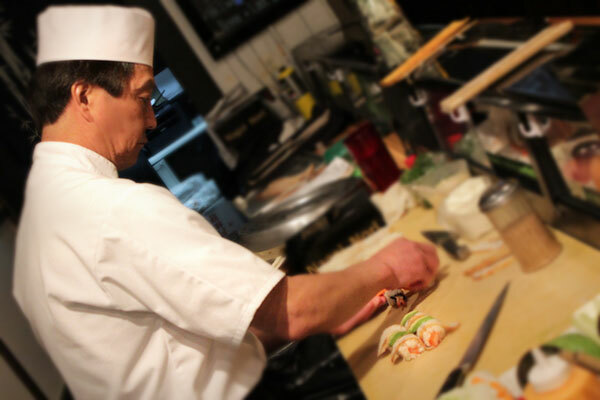 Tsunami also offers Japanese tempura, pot stickers, tataki, hibachi and other Asian dishes. We slice our fish to order and create artful presentations to please both the eye and palate. Whether on a date or with a group of friends Tsunami is the perfect place for a night out. Come experience Tsunami, a new approach to hip, sophisticated Asian cuisine.